Includes updo, braids, chignons, french twists, etc. Please come in with clean, dry hair without any styling products used. Our hair color service includes the application of color to your new growth in order to change the color of your natural hair or cover gray hair. New growth is natural outgrowth up to 2 inches from the scalp. This service includes all-over color with a wide range of possibilities, from natural and blended to full coverage. Refresh your toner in-between visits to maximize your color results! Over time, faded and brassy tones may appear in the hair due to external factors, including (but not limited to) the cleansing process, heat styling, and hard water. This service maintains your desired tone with a shampoo, toner application, and blowout. The transformational color service is for those wanting an extreme change. This includes dark to light transformations and the removal of unwanted pigment in the hair. Multiple processes may be necessary to achieve your desired result. Consultation required. Our stylists use an array of foiling techniques to create highlights or lowlights customized to your specific style. Multiple processes may be necessary to achieve your desired lightness and tone. (See TRANSFORMATIONAL COLOR for extreme color changes). The babylight foiling technique creates very fine, delicate highlights or lowlights for soft, subtle dimension. Multiple processes may be necessary to achieve your desired lightness and tone. (See TRANSFORMATIONAL COLOR for extreme color changes). 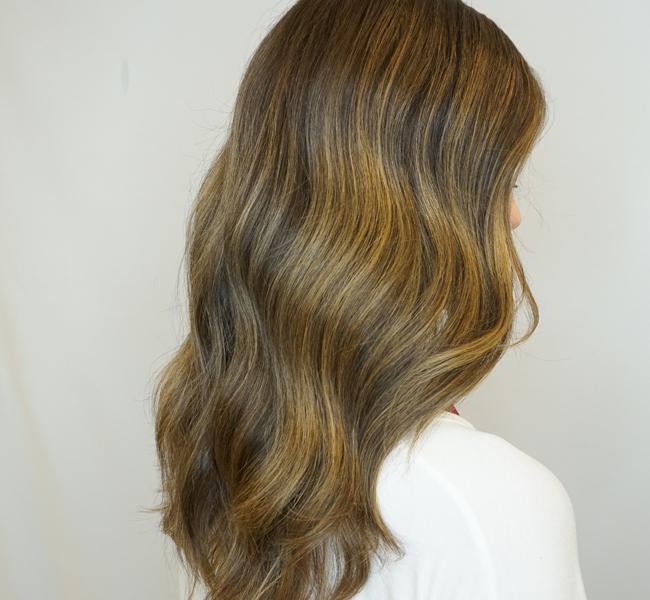 Balayage is a hand-painted bleach application technique, creating a transitional, natural-looking soft ombre (sombre), ombre, or highlight with less maintenance. Multiple processes may be necessary to achieve your desired lightness and tone. (See TRANSFORMATIONAL COLOR for extreme color changes). 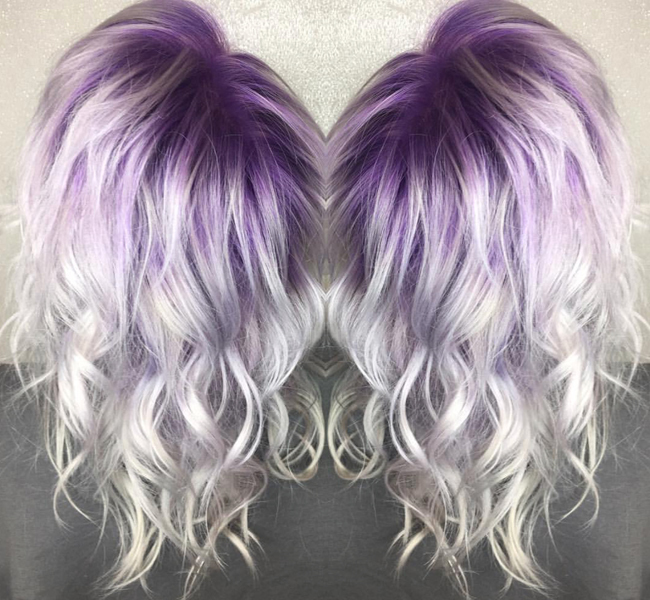 This service includes a semi-permanent bold, bright, or pastel color application from scalp to ends on already pre-lightened hair. Vivid foil weaving involves applying a semi-permanent bold, bright, or pastel color in foils on already pre-lightened hair. The special effects vivid color service delivers a vivid dimensional look on the entire head using multiple fashion colors on already pre-lightened hair. 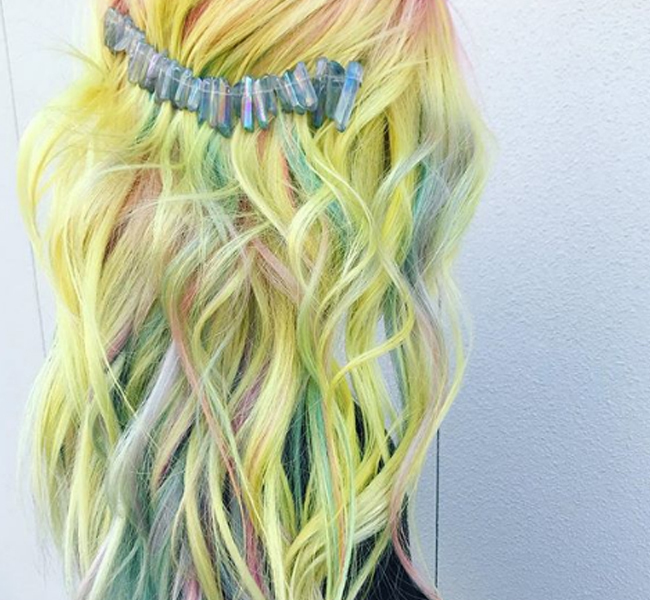 Unicorn hair color, mermaid hair color, vivid sombre, and vivid color melt are some examples of special effects vivid color. This service starts with pre-lightening the hair to the appropriate level for your desired look. Multiple lightening sessions may be necessary to prepare your hair for your desired vivid color. Once the necessary lightness is achieved and toned, your stylist will apply a semi-permanent bold, bright, or pastel color from scalp to ends. This service starts with pre-lightening the hair in foils to the appropriate level for your desired look. Multiple lightening sessions may be necessary to prepare your hair for your desired vivid color. Once the necessary lightness is achieved and toned, your stylist will apply a semi-permanent bold, bright, or pastel color in foils. This service starts with pre-lightening the hair to the appropriate level for your desired look. Multiple lightening sessions may be necessary to prepare your hair for your desired vivid color. Once the necessary lightness is achieved and toned, your stylist will apply multiple fashion colors on the entire head to give you a vivid, multi-dimensional look. Unicorn hair color, mermaid hair color, vivid sombre, and vivid color melt are some examples of special effects vivid color. Beaded Row Extensions This product gives a natural, seamless look with low maintenance. The hair itself is the perfect blend to your natural hair. A certified extension specialist will install this flawless look with a specific technique using silicone beads. Schedule your consultation today! Hand-Tied Extensions This service is great for fine hair! The blend of the extensions gives a beautiful natural look. A certified extension specialist will install this flawless look using a sew-in method. Schedule your consultation today. Trissola True This treatment will straighten and smooth your hair in just one visit. It eliminates frizz and curls while adding incredible shine that lasts 3-6 months. You can wash and style your hair the same day as your receive this treatment. Made with coconut oil, this keratin treatment improves all layers of the hair, enhancing strength and elasticity and provides long lasting conditioning effects. Trissola True + The same great results as Trissola True, but with an advanced formula especially good for medium to coarse, resistant hair. Removes frizz and curls up to 100%, depending on texture, without leaving volume. Trissola Solo This breakthrough anti-aging taming treatment will give you smooth, frizz free hair. This treatment seals split ends and restructures damaged hair. Your hair will be infused with pro-vitamins, minerals, and antioxidants. It straightens, smoothes, and strengthens hair for up to 12 weeks. You can wash and style your hair the same day as you receive this treatment. GK Best This treatment reduces the stiffness in natural waves and curls causing the hair to soften and straighten. Utilizing Juvexin, a special blend of proteins and peptides optimized specifically for your hair, the GK Best treatment enables hair to better withstand heat, helps make hair less prone to breakage and improves manageability. This easy application leaves hair healthier and reduces styling time, and won’t change your color.